We often get really lovely bikes donated, and this 1970s Claud Butler is no exception. It’s a stunner of a vintage bike, and the first time that Lee’s been trusted with such a piece of glorious bling. 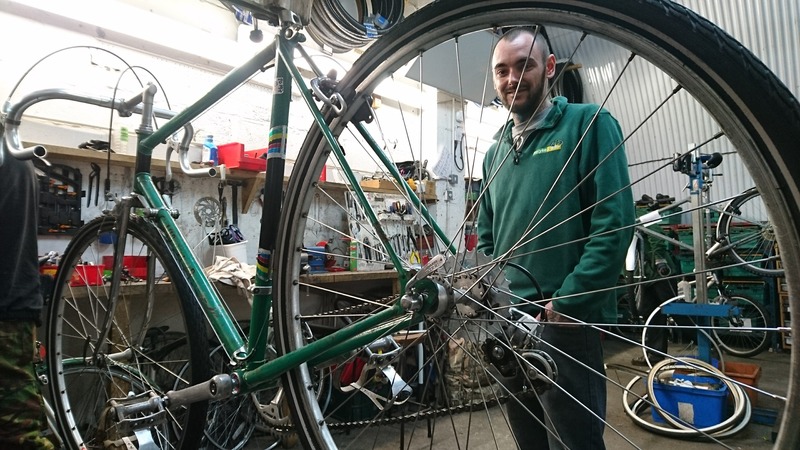 He’s worked closely with one of our most experienced mechanics, Nick, and the bike will get a final double check before it goes into the shop. If you’re looking for a vintage bike, Recyke y’bike is the place to come. We’ve everything from traditional three speed ladies bikes that we can put a basket on the front for you (add your own puppy), to touring bikes, fixies and road bikes. Prices for vintage bikes start at a little over £100.